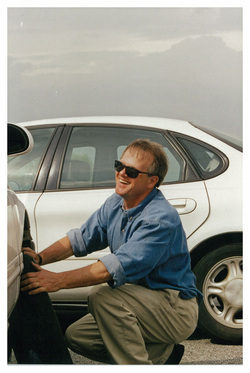 Sandy Stevens founded Stevens Advanced Driver Training in 1979, training police and other public sector drivers as well as corporate clients. In 1988 he published IN CONTROL With Sam Posey, a car control teaching video. In 1996 the teen program was developed, and from 2001-2007 over 6000 Massachusetts teens were trained through the Mass. Auto Dealers Charitable Foundation. In 2006, the Skid School Driver Skills Development Program for new drivers was written into Massachusetts Driver Education law (Mass.540 CMR 23.01).